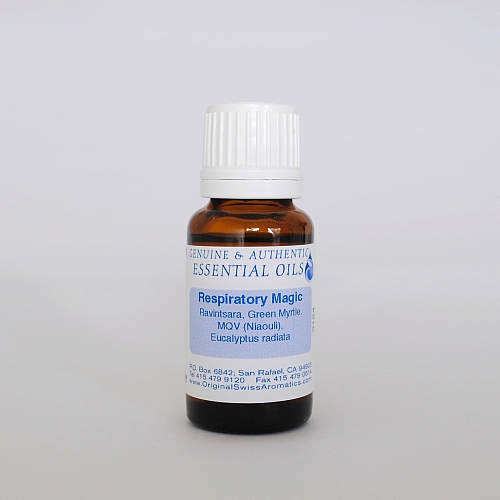 Respiratory Magic is a gentle, usually very well tolerated blend that can even be used with children. Despite its gentleness, it is quite effective in the treatment of bronchitis, sinus infection and chronic congestion. It is applied, diluted or undiluted, to the throat, thorax or inhaled in cases. 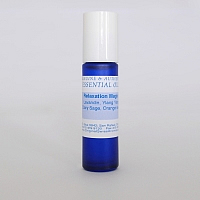 Apply 5 - 20 drops topically to the chest and back or inhale 2 - 3 times daily. A good and simple way to inhale is to put a very small amount on a paper tissue and insert it into the nostrils. Ingredients: Ravintsara, Green Myrtle, MQV (Niaouli), and Eucalyptus radiata.